Turner Freeman lawyers are Superannuation, TPD & Life Insurance Claims Specialists. If you have a question about this area of law then you are in the right place. Unfortunately, the State of NSW has introduced laws that prohibit legal firms from advertising personal injury services. As a result Turner Freeman cannot display any information on our website unless you are a client of Turner Freeman Lawyers or live outside NSW. Turner Freeman Lawyers are here to help you no matter how big or small your claim might be. Simply call us free on 1800 800 088. Off work for a medical reason? Insurance or Super claim rejected? When you are unable to work because of injury, ill health or if you suffered a disability you may be able to claim or access your superannuation early. Superannuation, Disability & Insurance compensation claims can be confusing, complicated and superannuation & insurance companies can sometimes be difficult to deal with if you are not familiar with the process. Super Claims Australia is here to help you with your claims. Call us on 13 43 63 for a obligation free advice. Below are the types of claims you may be entitled to if you are unable to work because of an injury or illness. When you are injured or ill and unable to work or enjoy your usual daily activities, you may have insurance coverage that you are not aware of through your superannuation. Importantly TPD does not mean “never work again”. If you are able to retrain into some other area and continue working in the future then you may still have a claim. TPD insurance can be attached to your superannuation, mortgage or other loan insurance. You may also have other occupational specific cover. For example in the building, construction or contract cleaning industries, portable long service leave can be claimed in the event of TPD. It provides financial benefits to those who are no longer able to work in their usual occupation due to mental or physical disability or ill health. Your disability does not need to be caused by work. Super Claims Australia can help you with all your TPD claims. Call us on 13 43 63 today! Do you qualify to claim TPD? If you have temporarily become unable to work due to a disability or illness, you may have a claim. Salary continuance or income protection benefits provide financial support to those unable to work, in the form of either lump-sum or ongoing payments. If you are only able to return to work on reduced hours you may also be able to claim the difference between what you are now earning and what you would have earned had you not been injured or ill.
To qualify for income protection you will need to provide evidence of your illness or disability. Your disability does not need to be caused by work. Super Claims Australia can help you with all your TTD claims. Call us on 1800 088 677 today! Read more to see if you qualify. It is possible for super fund members to nominate the beneficiary to whom a payment should be made, however some binding nominations can be disputed. 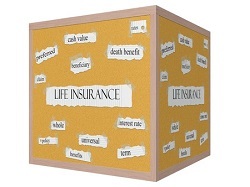 Read more on how you can claim Life Insurance or Death Benefit. Super Claims Australia can help with your Life Insurance or Death Benefit claims. Call 13 43 63 for a free, confidential discussion. A super fund trustee’s failure to take out insurance coverage by a super fund trustee. 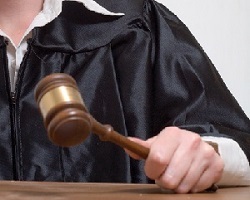 Your rights can be enforced against an insurer, super fund trustee or other party in court. In court proceedings you can also claim interest on the benefits that you should have been paid, as well as a contribution towards your legal costs if you are successful. Read more on how you can dispute, contest or challenge a rejected claim. 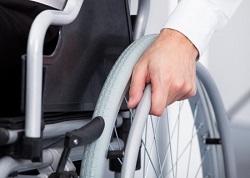 We can help you claim for Superannuation and Disability benefits. If your claim has been rejected by your superannuation or insurance you may be able to contest, challenge or dispute the decision. Call us 13 43 63 for a free, confidential discussion.